Enthusiasts and critics are chronically nearsighted. We have the tendency to deem every new twist or turn a breakthrough in the form or a masterpiece. Intellectually, we know that this is a contradiction because masterpieces are only revealed through the perspective of time. Breakthroughs cannot be recognized without the distance to see if they will persist in the critical discussion and influence conventions and practices. When we look back, we can say with confidence that films like Night and Fog and Tongues Untied are influential landmarks. They taught us new ways of seeing and showing, representing experiences and ideas that had not been seen in a cinematic light before. We are certain of this now because these new subjects and modes of representation are part of the landscape today. Exit Through the Gift Shop generated a lot of discussion in 2010 about its veracity as well as about what it did with the documentary form. Some saw it as a nascent landmark, others as a cheap parlor trick. Hindsight is not only clearer, it has more context. In the case of Exit Through the Gift Shop, we do have more perspective. In five years, it has begun to validate itself historically as it holds up and influences documentary filmmaking. One of the interesting things about this exchange (and it is clearer now than it was in 2010) is that Schnack was asking the wrong question and Banksy was asking the right one. The key to understanding Exit Through the Gift Shop is not asking, is it true? But asking instead, why use a medium prized for truth-telling to create a work that intentionally provokes skepticism? Regardless of the veracity of the actual footage, if Banksy had wanted to present the story of street art in a straightforward way, he could have done so. He chose not to. The undercurrent of suspicion does not start with the press, as AJ (perhaps coyly) suggested; it starts with the first frame of the film (or with foreknowledge of Banksy as an artist, which I’ll get to in a bit). In the first frame of Exit, we see the logo for Paranoid Pictures — a close knock-off of the Paramount logo. Gunfire fills the speakers as the arch of stars is replaced by bullet holes. We see “a Bansky film” in distressed type. Documentary textbooks tell us that the choices a filmmaker makes are designed to instill a sense of trust in the audience. This convention is not just being mocked — it’s being assassinated. Thierry proceeds to break every basic rule of documentary filmmaking. He becomes not just a confidant of his subjects but also an accomplice, finding locations for graffiti artists to paint and assisting in their exploits. Passion becomes obsession and he eschews any sense of ethics in order to get the shot. The subversions of form and convention come so quickly that we have no choice to go with it at the same time that we register the subtle ridiculousness. In Banksy’s depiction, Thierry is the archetypical documentary poseur. When the “twist” happens and we learn Thierry is not really making a film at all, everything about these scenes is played to the satirical hilt: the narration, the music, and the hoarder-like panning shots of Thierry’s boxes of videotapes, which we ominously learn are “never to be seen.” The “reveal” that Thierry is indeed not really a documentarian ostensibly leads to Banksy taking the reins and finishing the film we now see. This part of the film — the shifting in the very terms of representation — is the true innovation of Exit Through the Gift Shop. It is also the part of the film that is hardest to take at face value. It’s like that Jack Benny line: a conscious nod to the idea that someone is pulling the strings here. If we accept that Exit is intended to trigger skepticism, the question remains: why? Perhaps, as AJ suggests, the reason is based in the tendency of the press to see Banksy as a prankster. However, this misses half the point: Banksy is a prankster. Street art has a baked-in aspect of rebellion, rule-breaking and, well, criminality. Anyone familiar with Banksy would be primed with this information going into the film. Moreover, Banksy would have been aware of this also. Had he created a straight-ahead cultural portrait of the street art movement, it’s likely that his claims and motives would have been questioned anyway. The deep irreverence towards documentary convention in Exit could essentially be a preemptive defense against anticipated charges of exaggeration and self-aggrandizement. Many people who take documentary seriously are very sensitive about falsehood being presented as truth (and rightly so, that kind of lying can be dangerous). What Banksy did turns out to be the opposite: presenting the truth as a potential falsehood that needs to be investigated and debated. Provocation of discussion and prophylaxis against criticism are two good reasons to make a documentary that feels like a prank even if it isn’t. However, this analysis still falls short of fully understanding the artist known as “Banksy” and the genius of Exit Through the Gift Shop. At the true heart of all this skepticism and satire is the initial conceit (or deception) of all of Banksy’s work: “Banksy” (i.e., the performance of the artist persona by an individual or individuals in disguise) is itself art. This was true long before the film existed. The entire discussion of meaning and intention in art (including in this very piece) is predicated on the notion of authorship — the idea of there being a creator of the work. If we want to be skeptical about Exit, we need to be skeptical about everything. How do we know that the person on camera in disguise is the same person directing the movie and/or the person making the actual art? We don’t — and of course, this is intentional. Only at the point when the whole premise of the medium is blown up do we begin to see Exit clearly. This is not the vaguely institutional voice of the public-affairs tradition (though this is heartily mocked). Nor is it the subjective but forthright viewpoint of the observational and participatory documentary traditions (also mocked!). Rather, the perspective of Exit (starting with the very claim of authorship) is that of an unreliable narrator. 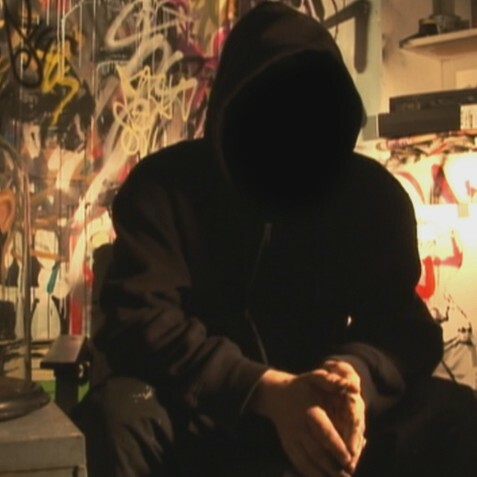 While it was not unprecedented in documentary to call into question the relationships between subject, filmmaker and audience, Banksy thoroughly drenched his film in a reflexivity that transcended the work itself. It slyly built on existing biases and unapologetically demanded additional investigation on the part of viewers. Five years later, we can say more about Exit Through the Gift Shop not necessarily because we are smarter, but because we know more about what came after. We know that the last five years have produced a bumper crop of extraordinary films that problematize subject/filmmaker/audience relationships in new and provocative ways. Examples include 5 Broken Cameras, This is Not a Film, Stories We Tell, The Act of Killing and Actress. Each of these films challenged viewers to consider the circumstances of its creation — something that traditional documentary tends to discourage. Like Exit (though by different means and for diverse reasons), each of these films draws attention to the complex power dynamic between subject, creator and audience. This results in rich and nuanced viewing experiences that stretch the notion of how a documentary can function in terms of representation and intellectual engagement. Exit Through the Gift Shop did not make these films possible, but it cleared a path for them to be understood and embraced by audiences and critics. Special thanks for invaluable feedback on a draft of this piece to the students in my Art and Genre of Documentary at The George Washington University’s School of Media and Public Affairs.